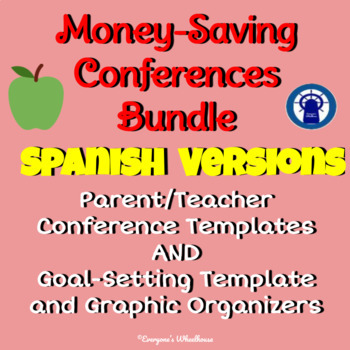 Save money with this bundle of tools for parent/teacher conferences in Spanish. Be ready to discuss key ideas with student input and look toward the future with student goal-setting. These templates in Spanish will simplify your parent/teacher conference experience. We have your needs covered with a sign-in sheet, a note-taking template, and a student self-evaluation form. Keep things organized for conferences with our ready to use forms.